Coming back to the theme of changes in my previous post, there is one additional one to consider. Possibly the most radical of them all, really. I am starting to uncover my previously extremely well-hidden inner baker! Within the past few weeks, I have made several pies, pizzas and a (pretty decent) loaf of bread. 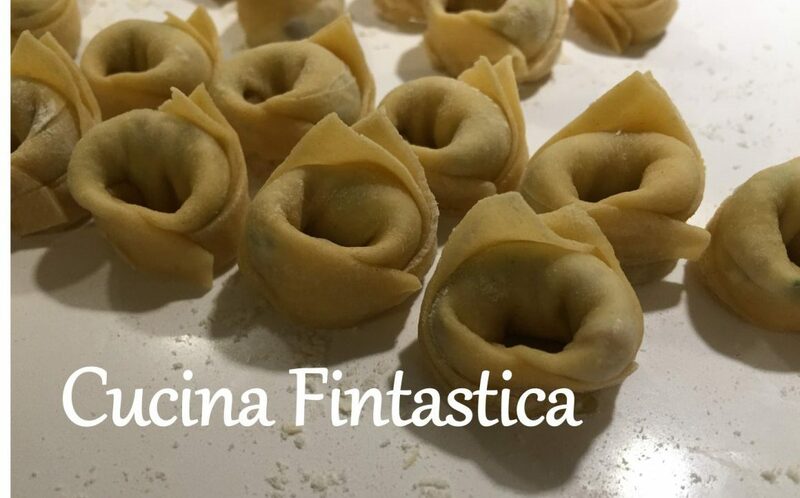 All naturalmente with Italian recipes. Just yesterday I used this one for a dose of blueberries I picked in a forest near Helsinki. In general, I am jealous of Italians for their vast range of fresh veggies, herbs, and fruit. 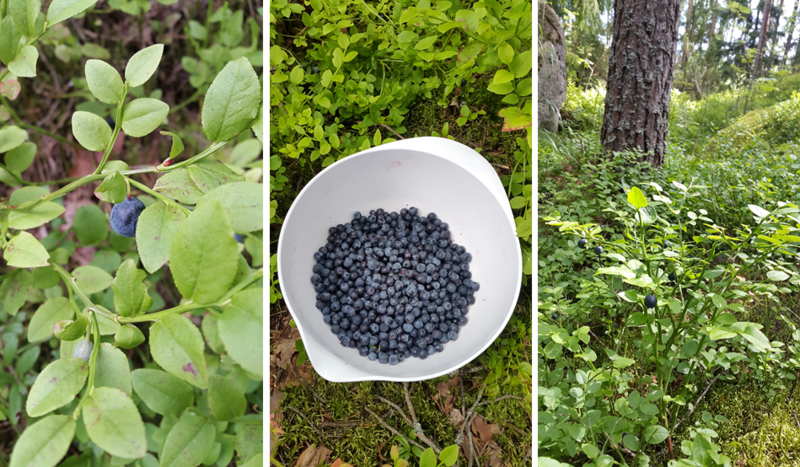 However, at this time of the year there are some fantastic ingredients also available in my Finnish hoods, such as those blueberries and chanterelles. Today’s recipe doesn’t have anything to do with them though (I just wanted to show off my 1.5 litres of blueberries). In fact, the recipe contains an ingredient completely unknown to me, the Finnish forests, and supermarkets in Helsinki called barba di frate. It directly translates as a “monk’s beard”. Fortunately Wikipedia kindly informed me that I would not need to start negotiating with the very few monks in Helsinki about their facial hair but it is a plant called salsola soda or opposite-leaved saltwort (with so terribly complicated English names, I suppose this beard plant is not that common in the UK either…). Anyway, today’s recipe is a pie I found on one of Italy’s most popular food blogs called Sale&Pepe. I was intrigued by the use of almonds in its filling and topping although it is a salty pie instead of a dessert (the afore-mentioned blueberry pie also has an almond topping). I substituted the beard plant with spinach which worked quite deliciously with those almonds and the heartiness of blue cheese! As the recipe only advised to use a pasta brisé for the crust without any further details, I picked a recipe for it from one of my Italian cook books called Voglia di cucinare. However, if you are a more advanced baker than myself and have a secret crust recipe of your own, or – alternatively – like those ready pastries from supermarket, I am sure they will be fine options too. First make the pastry for the crust (unless you are using a ready one): Cut the butter into smallish cubes and let them rest in the room temperature for a few minutes to become a bit softer. Place the flour on a pastry board (or other flat surface…) and mix in a pinch of salt. Make a hole in the middle of the flour and add the butter cubes. Use your hands to quickly knead a pastry of the flour, butter, and salt. Finally add a 2 tablespoons of cold water into the pastry. Wrap it in a tinfoil and leave to rest in a fridge at least until you have prepared the filling. If you are using salsola soda, peel them, wash them and cook them in salted boiling water for at least 4-5 minutes. Drain well. If you are using fresh spinach, cook them in boiling water for a few minutes, and rinse and drain well after that. Move the drained vegetables (either salsola soda or spinach) into a pan, and gently cook them with some butter, the garlic clove and a pinch of salt for 5 minutes. In a blender, mix the egg, almond flour, milk and gorgonzola. Roll out the pastry and move it to a pie mold (previously buttered or coated with parchment paper). Add the vegetables and on top of them the gorgonzola cream. Finally scatter the almond flakes on top of the filling. Bake in the oven at 180C for about 35 minutes. Serve warm.